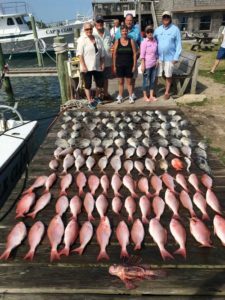 The southern tip of the Cape Hatteras Seashore is still a fairly new and remote location with a great fishing opportunity that is second to none. 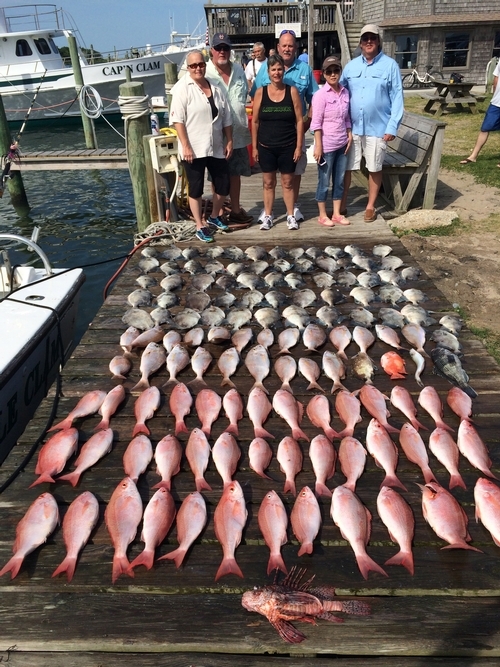 You’ll have a great experience here int the Outer Banks but the icing on it all is a fishing trip to go bottom fishing. I look forward to being the captain that will help you create those memories. We’ll head out to my secret spots for some of the greatest bottom fishing that can be found. The best excitement will be bringing up those fighters from the bottom and seeing them break the surface to go to the ice box. If you haven’t experienced this before, you will be in for a treat. Once we bring them up you’ll be half way done. Imagine those fine, great tasting steaks and fillets you’ll be enjoying that night and later when you return home. For me, the best part is helping you create memories of all the fun you will have. Book your charter on the Little Clam and you won’t be disappointed. The Little Clam is located at Oden’s Dock in the beautiful Hatteras Village at the southern tip of Cape Hatteras. To learn more on what we will fish, check out my What We Fish page.